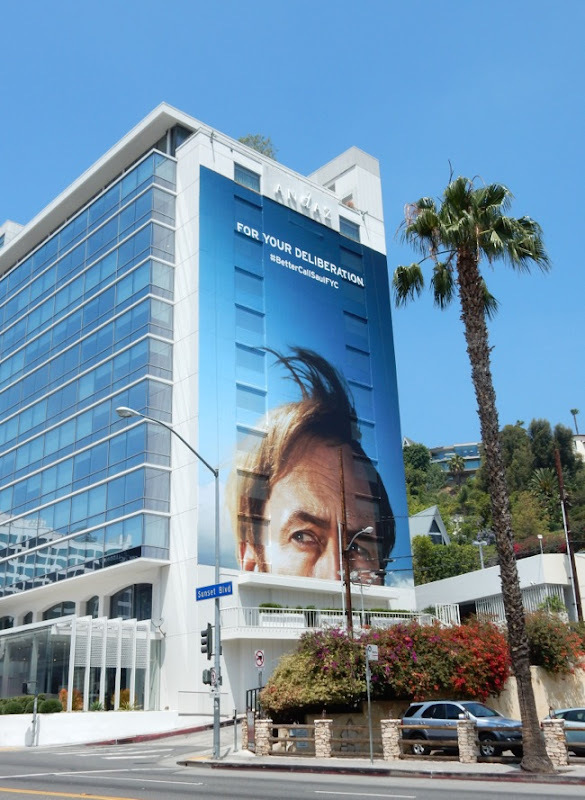 In recent days Daily Billboard has tried to showcase the onslaught of Emmy consideration ads filling L.A.'s skies these east few weeks, trying to get TV academy voters attention for their shows. 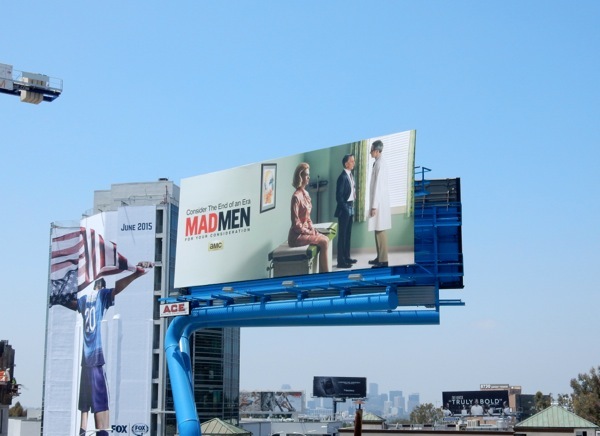 So far we've shone a spotlight on HBO's 2015 Emmy outdoor campaign, Universal Television's Emmy consideration billboards and billboards for Amazon's Transparent series, but today it's the turn of AMC and their scripted shows, Better Call Saul, Mad Men and The Walking Dead. 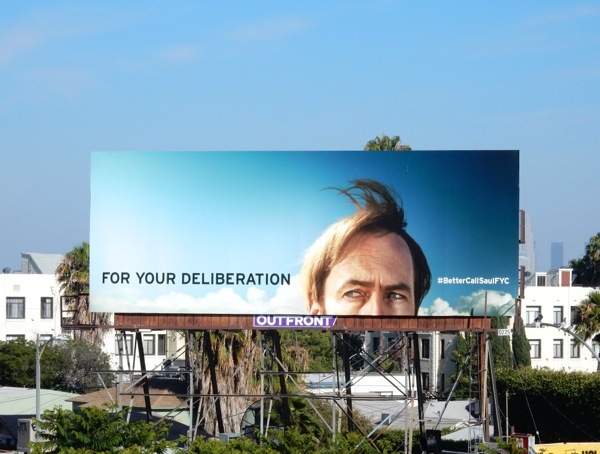 First up are these fun 'For Your Deliberation' billboards for the debut season of Breaking Bad's spin-off prequel series, Better Call Saul. 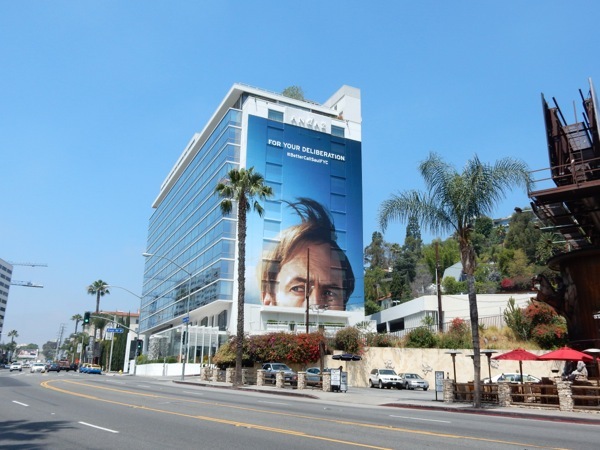 The super-sized creative was spied on the side of the Andaz Hotel along the Sunset Strip on May 28, whilst the landscape billboard was snapped over on Vine Street in Hollywood on May 30, 2015. 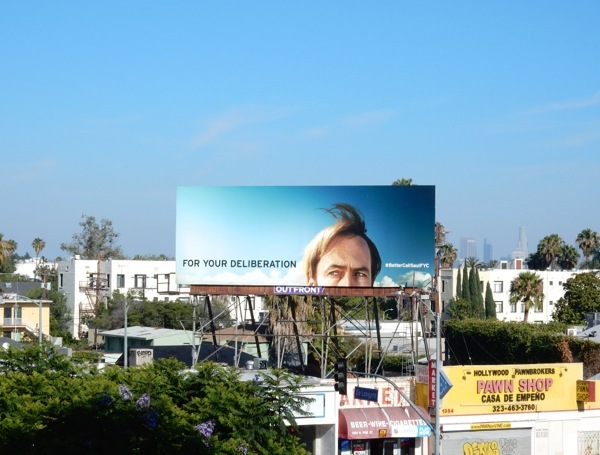 These quirky outdoor ad creatives with the just the eyes, top of Bob Odenkirk's head and flapping hair reminds us of Ellen's eleventh season billboards and the recent Olive Kitteridge mini-series billboards. 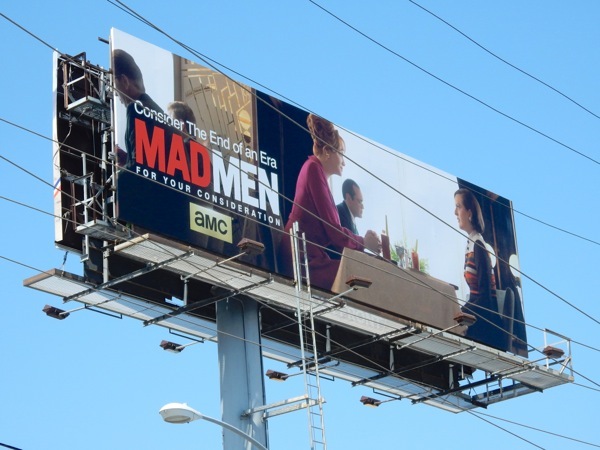 If you're a fan of the original AMC drama, be sure to also check out these teaser and series premiere billboards for Better Call Saul. 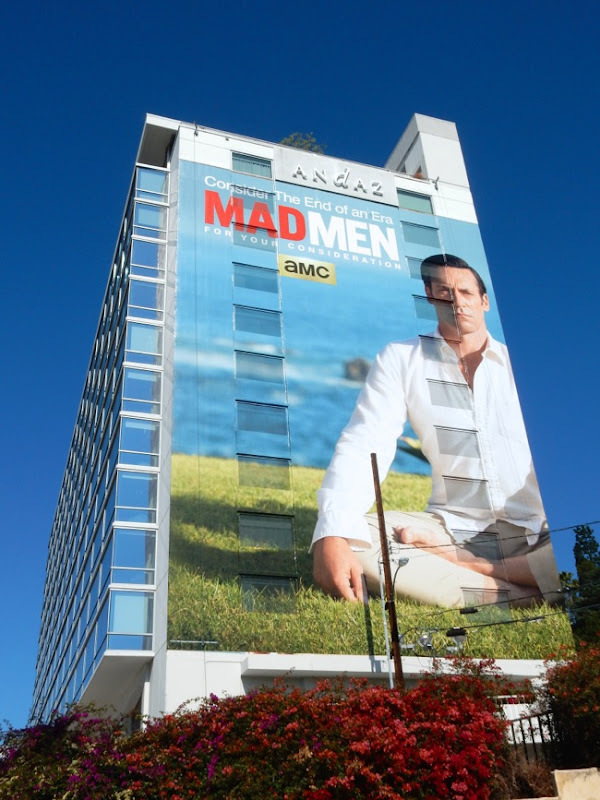 Next up is AMC's first ever scripted series which has received more than its fair share of critical acclaim over its seven seasons, Mad Men. 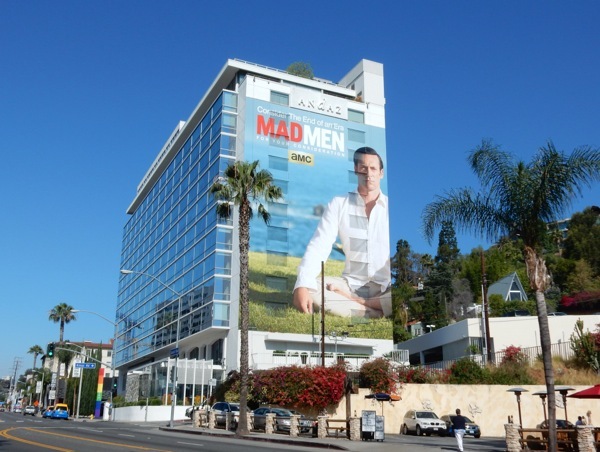 The series set in a 60's Madison Avenue advertising agency won four consecutive Primetime Emmys for Outstanding Drama Series, plus various other Emmy accolades and nominations over the years. 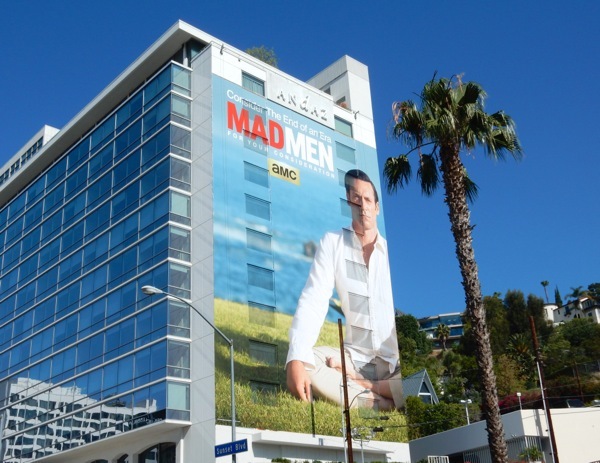 However the Outstanding Lead Actor category has always eluded Jon Hamm for his portrayal of the enigmatic 'Don Draper'. 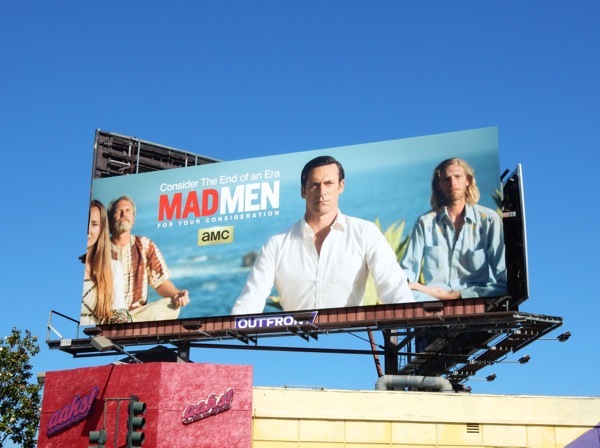 After seven previous nominations, will this be his lucky year for the final episodes of the seventh season of Matthew Weiner's compelling drama. 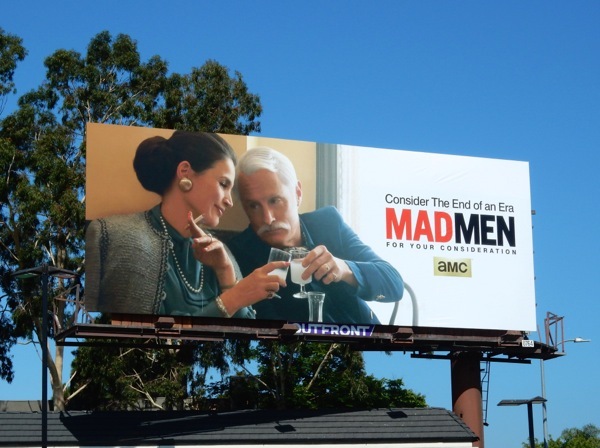 Daily Billboard loves this 'Consider the end of an era' campaign for the finale of Mad Men, which feature pivotal moments from the last episodes for favourite characters from the show like 'Roger', 'Joan', 'Peggy' and 'Betty' (although we're hoping to find another version of the fabulous Joan and Peggy restaurant creative, as a less obscured version had been graffitied along Beverly Boulevard). 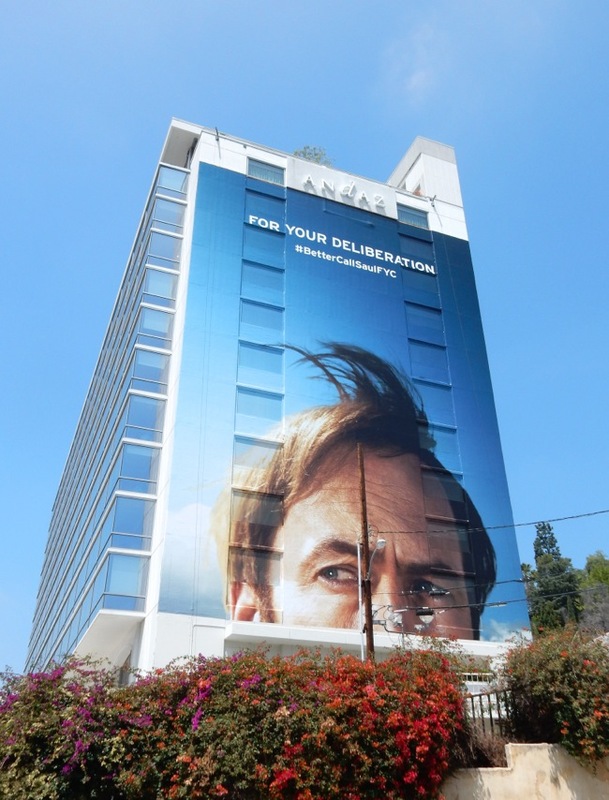 The super-sized billboard replaced the Better Call Saul billboard on the side of the Andaz Hotel, whilst the other landscape ad creatives were snapped along the Sunset Strip and La Cienega Boulevard from June 2 to June 7, 2015. 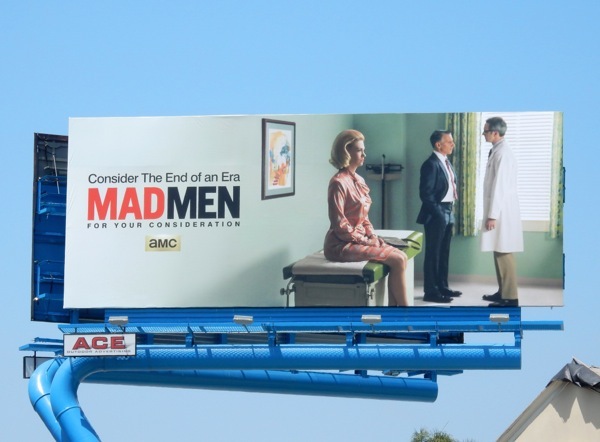 If you like this year's billboards, be sure to also check out these fun and clever mock 60's product ads for Mad Men's 2014 Emmy campaign. 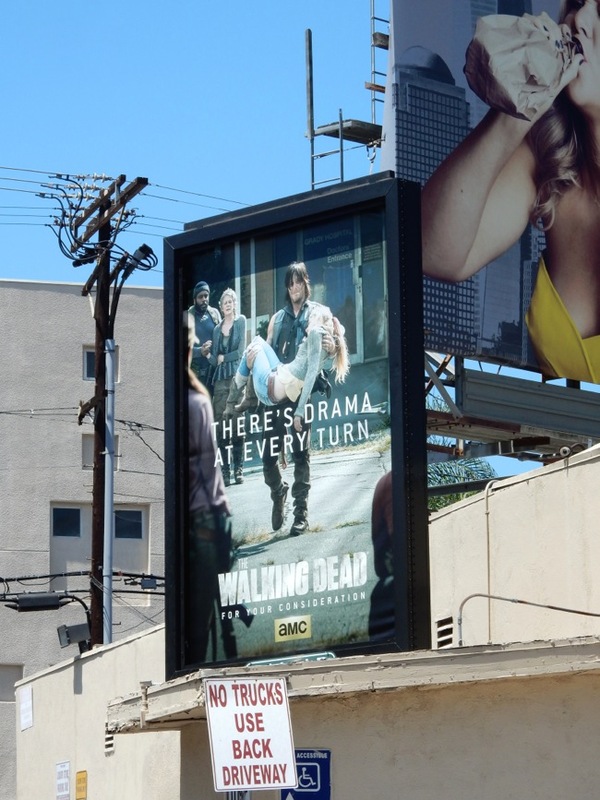 And last, but by no means least, here's a suitably poignant billboard for AMC's The Walking Dead, now in its fifth season. 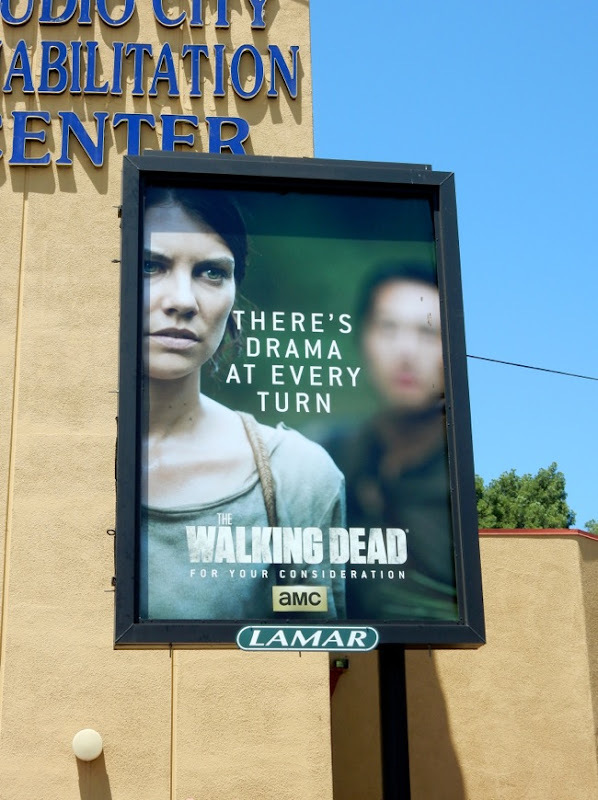 The engrossing series based on Robert Kirkman, Tony Moore and Charlie Adlard's comic book series continually proves it's more than simply a post-apocalyptic zombie horror show, with human drama at its heart. 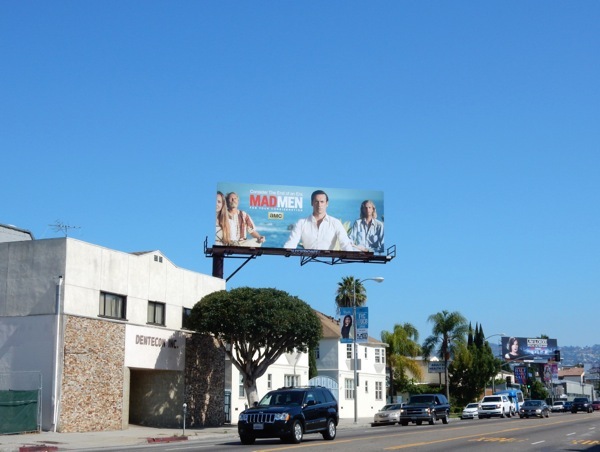 Daily Billboard agrees that 'There's drama at every turn' and is sure this billboard snapped along Pico Boulevard on June 7, 2015, won't be the last Emmy ad we'll see for the show (even though it's won an Emmy for prosthetic makeup in the past, it's always been famously snubbed in the acting categories). 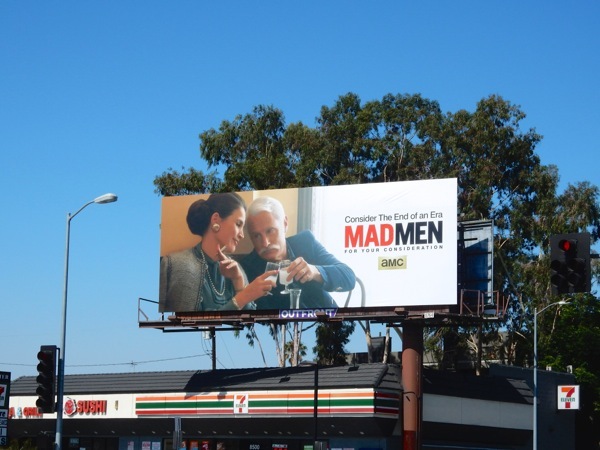 Stay tuned for more Emmy visual delights in the weeks to come. 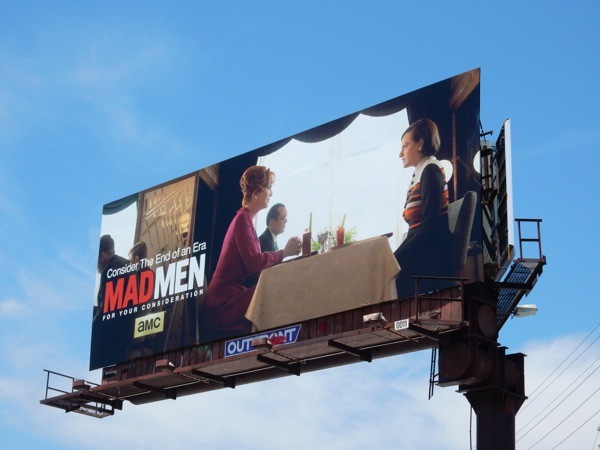 UPDATED: Here's a better view of the aforementioned Joan and Peggy billboard for Mad Men, snapped along Beverly Boulevard on June 17, 2014 devoid of graffiti. 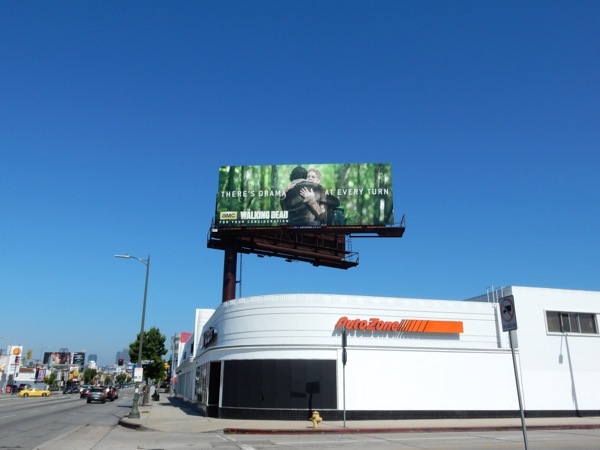 UPDATED: Surprisingly Daily Billboard didn't spy any additional full-size billboards for The Walking Dead's Emmy campaign (maybe because AMC know it will always be overlooked as a drama, so why waste the money), but we did snap these 'for your consideration' posters in Studio City on July 3, 2015. 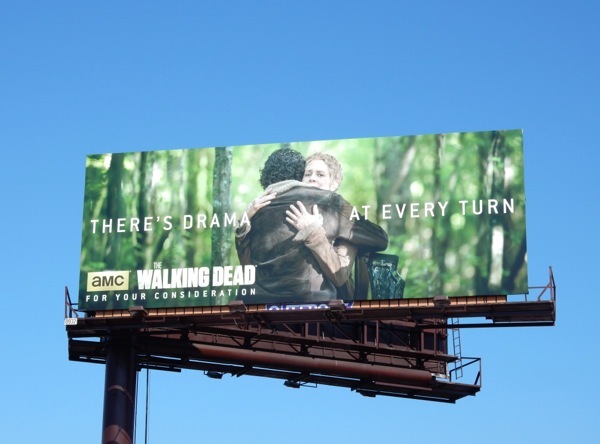 'Maggie' and 'Daryl' both went through the emotional wringer this season with the death of 'Beth', so these creatives certainly live up to the Emmy campaign promise of 'There's drama at every turn'.